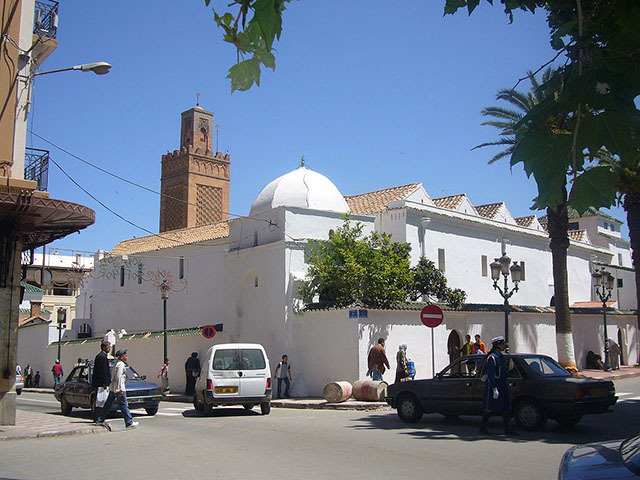 Great Mosque of Tlemcen is a historic mosque located in Tlemcen, Algeria. The mosque, which was built in 1082 AD, is one of the best preserved examples of the Almoravid dynasty's architecture. It was built under sultan Yusuf ibn Tashfin, but substantially reconstructed and enlarged by his son Ali ibn Yusuf. An inscription dates this reconstruction to 1136 AD.